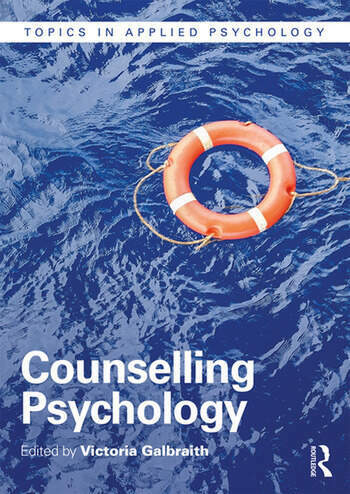 This is the first textbook to provide a complete overview of counselling psychology. Covering not only the underlying principles and philosophy of the profession, it offers a uniquely applied perspective in a concise, student-friendly format. From the relationship between research and practice to key ethical and professional issues, the book is written by some of the most eminent academic and practising psychologists in the field. It initially defines what counselling psychology and a therapeutic relationship involves, before outlining the range of approaches that can be taken with clients, from CBT to psychodynamic perspectives, and the journey of training through to working as a counselling psychologist. Supported by case studies and a range of features to illustrate how theory can be applied to practice, this is the ideal companion for courses in applied counselling psychology. The integrated and interactive approach covers the personal and professional issues which counselling psychologists face, making this the definitive introduction for any student of this growing field of study. Dr Galbraith is Registrar for the BPS Qualification in Counselling Psychology and former Programme Director for the Doctorate in Counselling Psychology at the University of Wolverhampton. She has an independent consultancy and psychology practice.